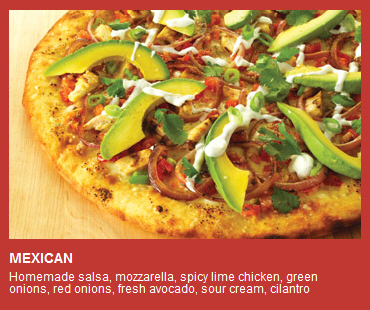 New Santa Ana | Get a $20 Zpizza voucher for only $9! Zpizza was founded in the art colony of Laguna Beach, California, where creativity and craftsmanship have flourished for almost a century. So it comes as no surprise that our critically acclaimed pizza is a true Laguna original. A passion for great food is why we start with dough made from 100% organic wheat flour prepared fresh every day, hand-thrown and fire-baked until uniquely crisp. Our zest for quality continues when the toppings go on. We combine select ingredients using award-winning skim mozzarella from Wisconsin, certified organic tomato sauce, MSG-free pepperoni, additive-free sausage, and fresh produce. We hope you enjoy our authentic and unique recipes as much as we enjoy making them for you.